Andrea Woods, JD, will led her first Conway Regional Board of Directors meeting on Jan. 28. She succeeds the Rev. Cornell Maltbia as board chairman. Maltbia continues on the board. “We have been blessed to have such an engaging leader as Rev. Maltbia as our chairman, and I look forward to Andrea bringing her own brand of decision-making and compassion to the leadership of the board,” said Conway Regional Health System President and CEO Matt Troup. Woods, a Conway resident, is known for her public and community service. She has been a member of the Conway Regional Board of Directors since 2016. She also served as chair of the 32-member Conway Area Chamber of Commerce Board of Directors in 2017. Andrea Woods is the new chairman of the Conway Regional Board of Directors. What has it been like working alongside Conway Regional President and CEO Matt Troup? What are some of the board’s most immediate priorities? The public should watch for growth in specialty services that support a comprehensive approach to care and meet the needs of patients. “Intensive Care, Cardiovascular, Neurology, Gastroenterology, Oncology, and Infectious Disease are exciting potential areas for growth,” said Woods. “Conway Regional will also support regional primary care physicians by providing the tools and specialized care their patients need.” This is made possible because of the willingness of leadership and employees to respond to change. “I expect this resilience and growth to continue and strengthen as we face future challenges together,” said Woods. Woods has served as corporate counsel since 2005 and became an executive vice president for Nabholz in 2012. 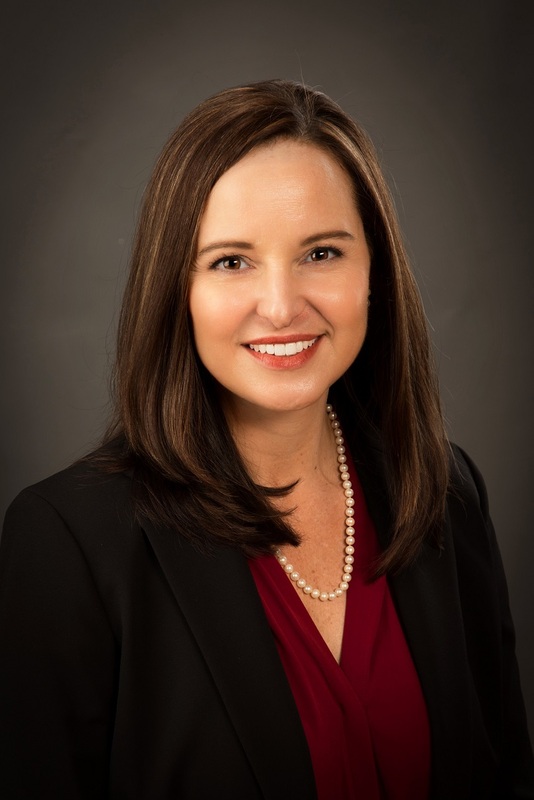 She is also on the board of directors for the company’s parent group, The Nabholz Group Inc.
A native of Fayetteville, Woods received her bachelor’s degree from the University of Kansas and earned her juris doctor degree with honors from Capital University Law School in Columbus, Ohio. She has served as assistant city attorney in North Little Rock and assistant prosecuting attorney in Fairfield County, Ohio. Woods was recently appointed as a member of the Arkansas Judicial Discipline & Disability Commission and is in her second term on the Arkansas Bar Association’s Board of Governors. In another change, Carol Angel, MD, a Conway anesthesiologist, is the new chief of the Conway Regional medical staff. There are more than 200 physicians on the Conway Regional medical staff. Angel succeeds Greg Kendrick, MD, whose term on the board expired in December. She has been in practice as an anesthesiologist in Conway for the past 22 years. The board also approved a $40 million expansion project in November. Maltbia and the board also oversaw the addition of clinics in Pottsville and Russellville to the Conway Regional Primary Care Network, the addition of a new CT scanner, Cardiac Catheterization Laboratory, a neuroscience center, pain management clinic, and sports medicine clinic, along with new medical specialties such as neuro spine surgery, rheumatology, vascular surgery and infectious disease care. Jim Rankin, president of Trinity Development, one of the oldest and largest land development companies in Conway, is the new vice chairman of the board. Other returning members of the board are Andrew Cole, MD, and Thad Hardin, MD, Barbara Williams, RN, PhD, Jeff Standridge, Tom Poe and Wayne Cox.